WeKings is a Scandinavian creative artists collective based in Berlin. 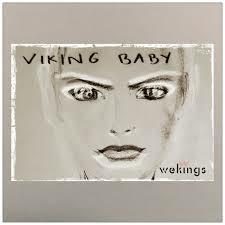 In their music, WeKings are aiming to capture the atmosphere of the Nordics, while combining it with the modern Berlin sound as well as other influences from a variety of genres and cultures to create their own unique and melodic, modern yet timeless sound. Unlike many artists these days putting their faces on the front, WeKings prefer to avoid exposing their faces and let people focus in their music. Instead, with love for art strong as their love for music, WeKings create their own artwork from original oil paintings and drawings inspired by the lyrics of their songs to accompany and complement their music.WeKings’ new single “Viking Baby” is an uplifting alternative indie pop-rock song combining influences of Nordic folklore to create a powerful anthem that echoes long after it’s over.